The London Club will start the 2019 portion of our season on January 10th. We meet the 2nd Thursday night of each month, September through May. New members are always welcome. Your initial night is free and it is only $5/night when you can make it out. We are having another great season! The London Crokinole Club was flicking furiously at the 10th annual Forest City Flickers Crokinole Tournament that they host in London. Congrats to all the winners and the club members for hosting another successful event. 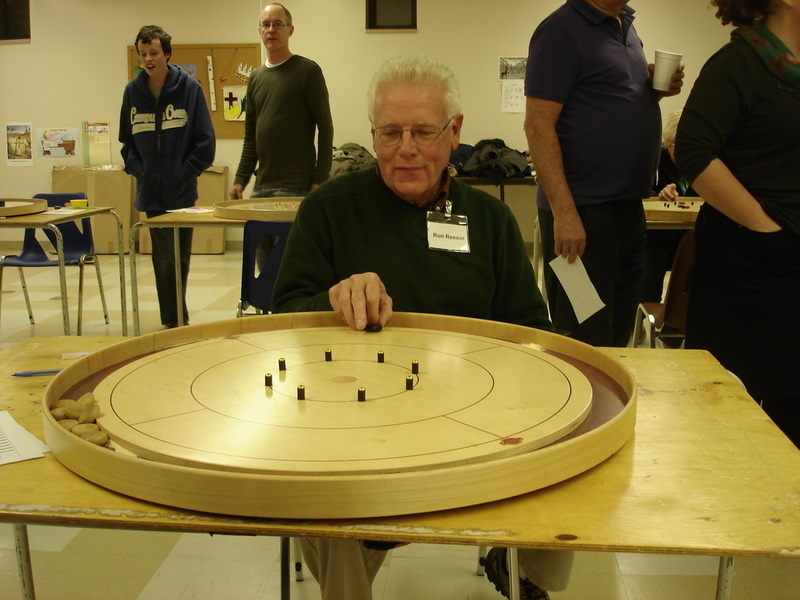 The London Crokinole Club also hosts their very own Crokinole Tournament each spring. Like the club, both recreational and competitive players are welcome and there are divisions and prizes for all skill levels. We look forward to hearing from you and hope you check back here for more details as the website develops. Ron Reesor showing off his 20 skills!